Public procurement law is becoming increasingly complex and formalised. For public authorities awarding public-sector contracts, choosing the procedure, formulating contract specifications and arrangements, and preparing the file for the call for tenders are of crucial importance. WILHELM Avocats SA provides contract-awarding authorities with cutting-edge, fast and well-informed legal support to ensure strategic choices are taken in full knowledge of the facts. This support is available for all phases of the process, from drafting the call for tenders, checking the documents attached to the call for tenders, bid assessment and short-listing through to preparation of the final award decision. If necessary, WILHELM Avocats SA can also help contract-awarding authorities in the courts. We can also assist bidding companies by providing legal oversight of their bids, advice in the bid short-listing phase and legal defence services. 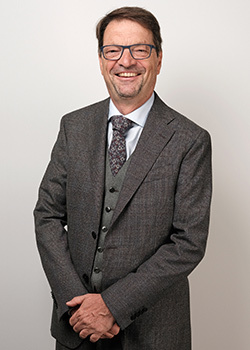 Robert Zimmermann served as a judge for twelve years in the Public Contracts Chamber of the Administrative & Public Law Division of the Vaud Cantonal Court. He is an acknowledged expert in this area and familiar with procedural complexities, especially legal and judicial aspects. Swiss Federal law requires cantons to reduce the area of designated building land. However, more than 150 local authorities in the Canton of Vaud have unnecessarily large reserves of building land at a time when the population is on course to rise over the next thirty years. The only option now is to increase building density in existing zones. Building new housing is set to become ever more essential and challenging. That underscores the importance of forward thinking geared towards anticipating and warding off opposition, and defusing conflicts, by taking due account of all interests, in particular those connected to protection of the environment, the landscape, nature, water resources, air and the fight against noise pollution. WILHELM Avocats SA offers comprehensive support for partners involved in urban development projects (property developers and public authorities in particular) to devise effective and pragmatic solutions. 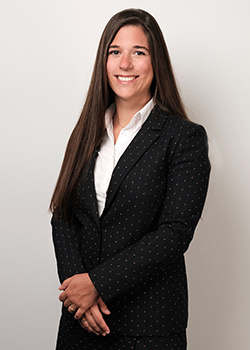 Maître Ema Bolomey is an attorney-at-law with extensive experience in all fields of private and public property law. Mr Robert Zimmermann sat as a judge for several years in the Regional Development and Construction Chamber of the Administrative & Public Law Division of the Cantonal Court.